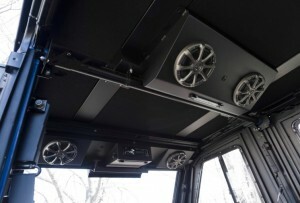 For those that want quality audio no matter where they are, we can even design an audio system for your UTV and side-by-side. It can be very difficult to work within the space and power limitations provided by these vehicles, but that won’t stop us from designing a system to meet your specific needs. These applications often require marine grade and highly efficient equipment. We offer the equipment and expertise to have you jamming out in the middle of nowhere in no time. 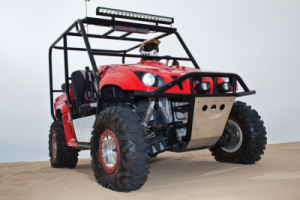 We can also make sure that you have no problem getting to the middle of nowhere with our complete line of UTV and side-by-side upgrades. We offer lift kits, wheels and tires, lighting, plows, heated seats, winches, and more to turn your toy into a custom off-roading machine.